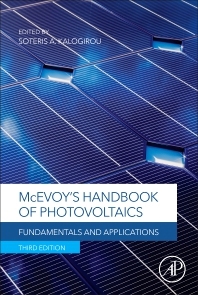 Practical Handbook of Photovoltaics, Third Edition, is a 'benchmark' publication for those involved in the design, manufacture and use of these devices. This fully revised handbook includes brand new sections on smart grids, net metering and the modeling of photovoltaic systems, as well as fully revised content on developments in photovoltaic applications, the economics of PV manufacturing and updated chapters on solar cell function, raw materials, photovoltaic standards, calibration and testing, all with new examples and case studies. The editor has assembled internationally-respected contributors from industry and academia around the world to make this a truly global reference. It is essential reading for electrical engineers, designers of systems, installers, architects, policymakers and physicists working with photovoltaics. 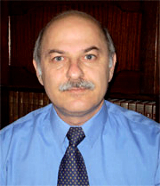 Professor Soteris Kalogirou obtained his PhD and DSc from the University of Glamorgan, UK. For more than 30 years, he has been actively involved in research of solar energy and in flat plate and concentrating collectors, solar water heating, solar steam generating systems, desalination, photovoltaics and absorption cooling in particular. He has many books and book contributions and has published large number papers in international scientific journals and refereed conference proceedings. He is Editor-in-Chief of Renewable Energy and Deputy Editor-in-Chief of Energy, as well as Editorial Board Member of another eleven journals. He is the author of the book Solar Energy Engineering: Processes and Systems and Thermal Solar Desalination, both published by Academic Press of Elsevier. He has been a member of World Renewable Energy Network (WREN), American Society of Heating Refrigeration and Air-conditioning Engineers (ASHRAE), Institute of Refrigeration (IoR) and International Solar Energy Society (ISES).